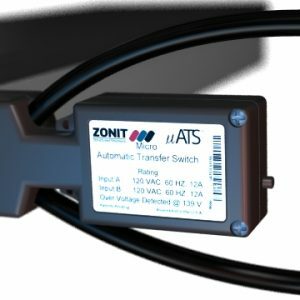 Although the Zonit Z-ATS is the world’s smallest it is also the most efficient for data center equipment. Not only is it capable of transferring at any phase angle, it also enables a different approach to the deployment of power. This device is a zero “U” self mounting unit and it’s purpose is to auto-switch the power fed to Electronic Data Processing equipment. It utilizes unique patent-pending technologies to provide unparalleled functionality. To learn more about this product as well as it’s features and benefits, click here. To watch a quick clip on the Z-ATS, click here.